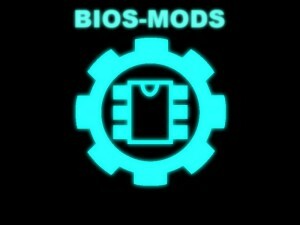 We would like to start an open-knowledge initiative to help recruit and train new moderators at BIOS-Mods.com with the wealth of information there is to be shared. We are looking for several interested enthusiasts who want to learn more about the process behind BIOS modifications and who are willing to learn with the rest of us. BIOS modifications are an evolving process, and as UEFI continues to gain market share, the techniques must also evolve to make the most of the new emerging technologies. Starting in May, we would like to refresh our tutorials section by making available many of our BIOS modification methods that we use regularly on the site but have not been publicly documented. We hope that by sharing new information with the community, we can encourage users to become more involved in the process so that we can meet the rising demand of BIOS modification requests. We will begin updating our tutorial sections for Phoenix and Insyde BIOS platforms which has grown very popular over the past several years. If you already have existing BIOS Modification experience, we welcome you to join us in updating our public knowledge base and database come May. If you are interested in learning how to become a BIOS “modder” on the site and would like to become an active moderator on our forums, please click below. You will be taken to our contact forum where you can leave a message with your interest. An administrator will get back to you shortly. I still think a wiki it’s a better place to write tutorials. Hi, I want to understand something about BIOS mods.. at least for my Vaio as I seen that there’s too much work here for moderators and singular requests can’t be taken seriously. You will be contacted by the site shortly. Hi there…I’m really interested in all this, but I don’t know anything coding related. I’m just an avid overclocker. As a student of software engineering at Univ. of Colorado,planning on specializing in software security. I feel that a thorough understanding of BIOS protocols is extremely important! I have seen systems with the BIOS compromised by (subversion) hackers, which the factory flash software will not overwrite nor show anything but “success”, leaving their malicious code to ruin the new HDD someone saved for, or retake control of PC. I would also like to make this knowledge of use to Linux users! Anything I could learn of the most important system there is,(booting) would be of great interest! Thank You, Ray P.
This site has some very important information to pass on. I would like to do my part by giving back. I just saved my laptop from a bad flash. Nice work! Please join us in the forums to get involved. Hi i want lo learn about the modding..and learn more technique..thank u for your great info..